A charming one bedroom cabin with room for four, Sweet Fantasy is ideal for a romantic couple's weekend or a small family getaway. 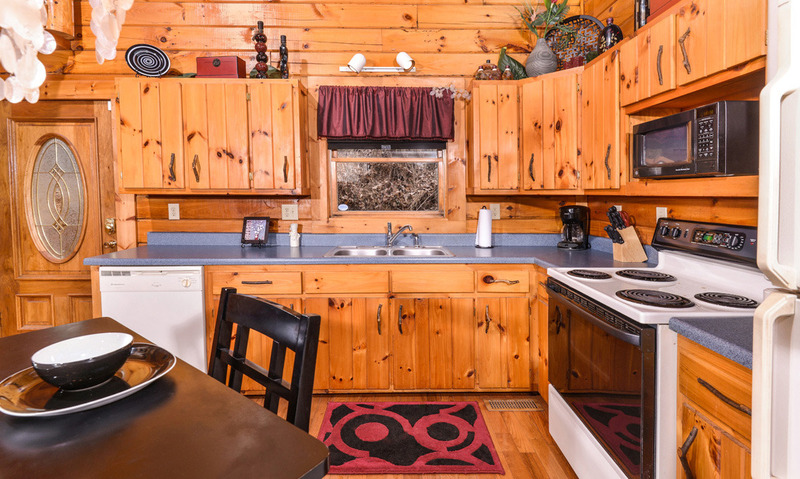 It's 1,100 cozy square feet, features lots of amenities to keep you comfortable, and is located not too far from downtown. 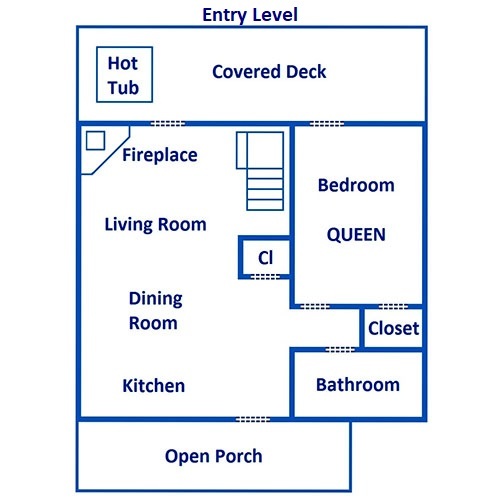 Relax in the hot tub or in front of the big screen smart TV, stay warm by the gas fireplace, play a few rounds on the pool table or foosball table, or take a short drive into town to check out local attractions. 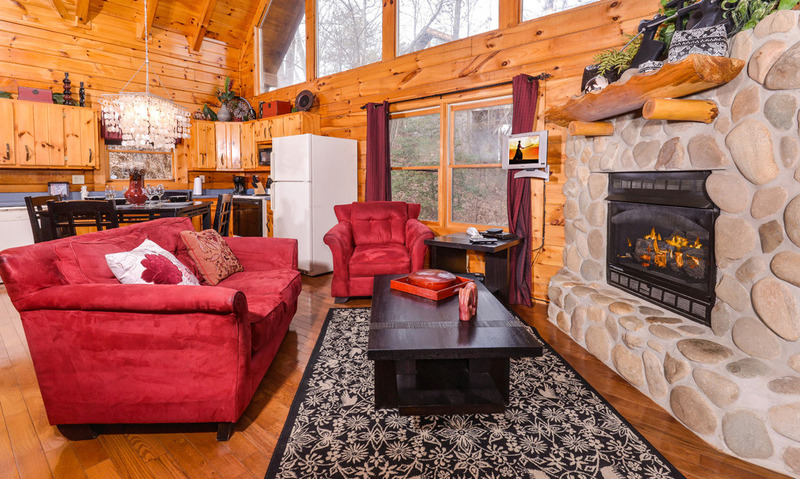 It's a great place for a relaxing stay in the Smoky Mountains! 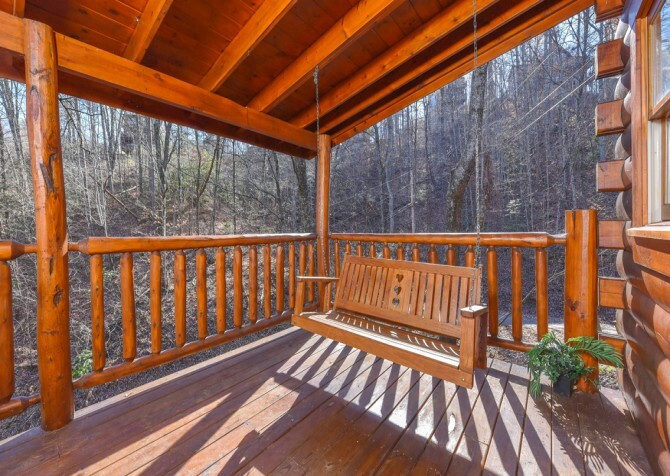 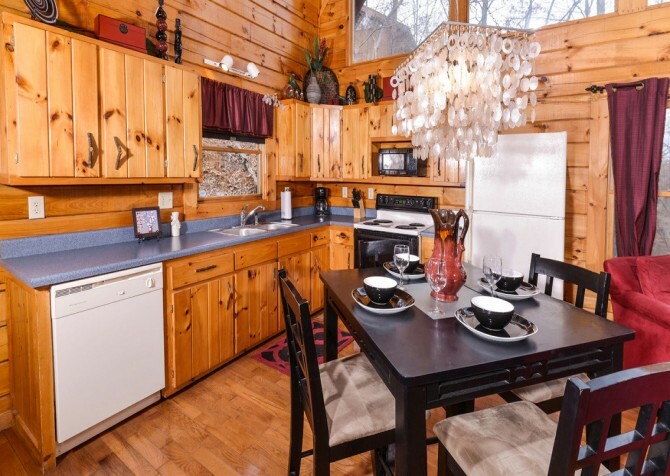 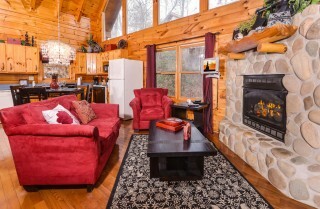 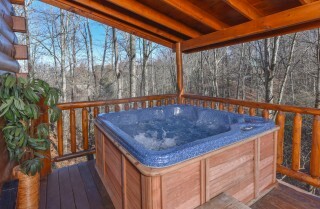 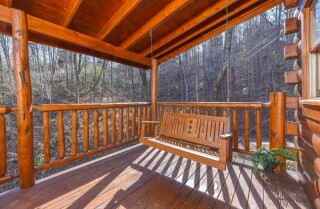 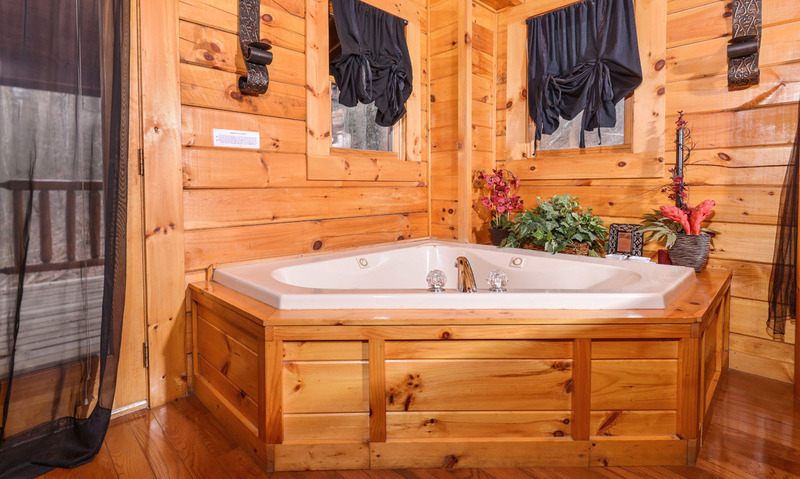 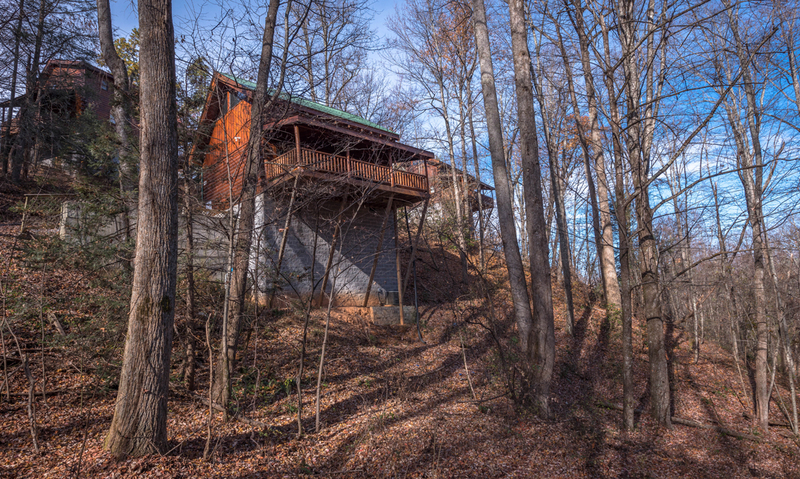 Located in the Sky Harbor Resort, this Gatlinburg cabin is less than eight miles from downtown. If you're heading to Gatlinburg to visit the Great Smoky Mountains National Park or to check out some family-friendly attractions, Sweet Fantasy will keep you near it all! 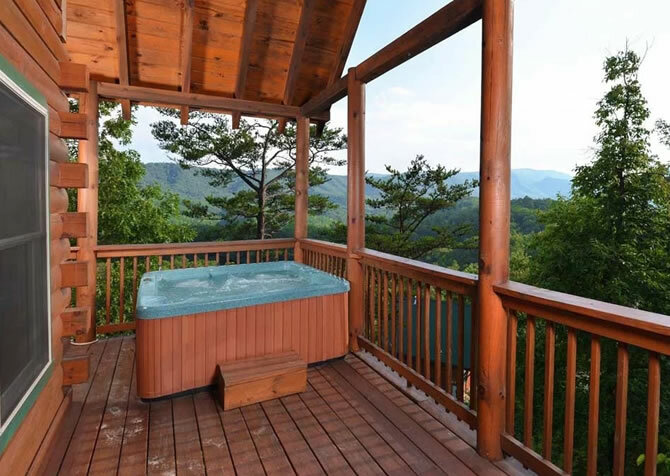 For outdoor fun, explore the miles of trails in the most visited national park. Enjoy hiking, biking, horseback riding, picnicking, scenic drives, and more! Downtown Gatlinburg is home to tons of attractions, shops, and restaurants, so you'll never run out of things to do! 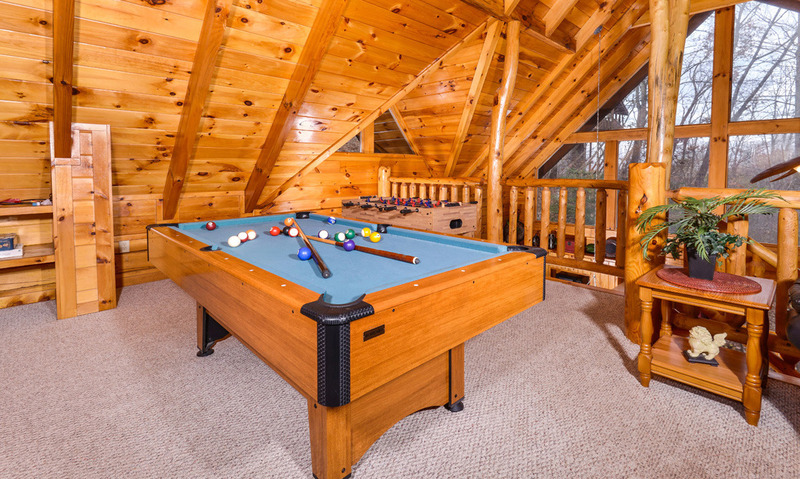 Play miniature golf, get some old-time photos taken, play laser tag and arcade games, or pick up some souvenirs to remember your time in the mountains. 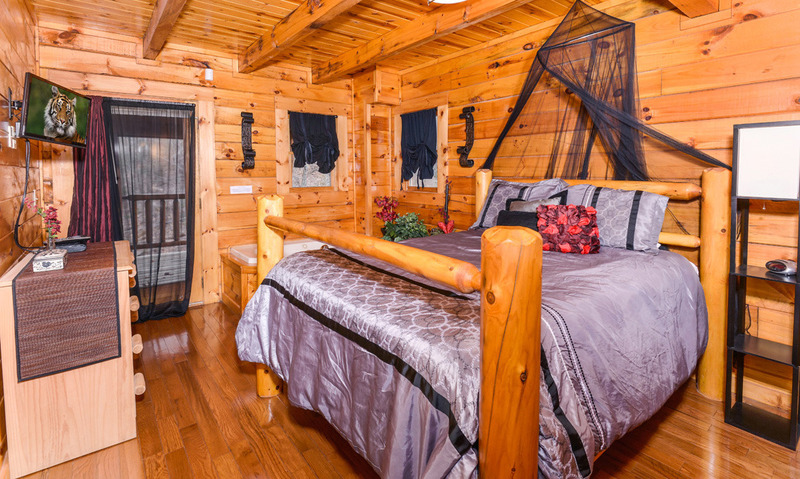 Cozy spaces await at this one bedroom, one bathroom cabin with room for four guests. In the bedroom, the queen size bed is comfortable for restful nights. There is also a TV here, so you can fall asleep watching your favorite shows or wake up and catch up on the news. If you're traveling with more than two guests, Sweet Fantasy also has a queen sleeper sofa in the loft. 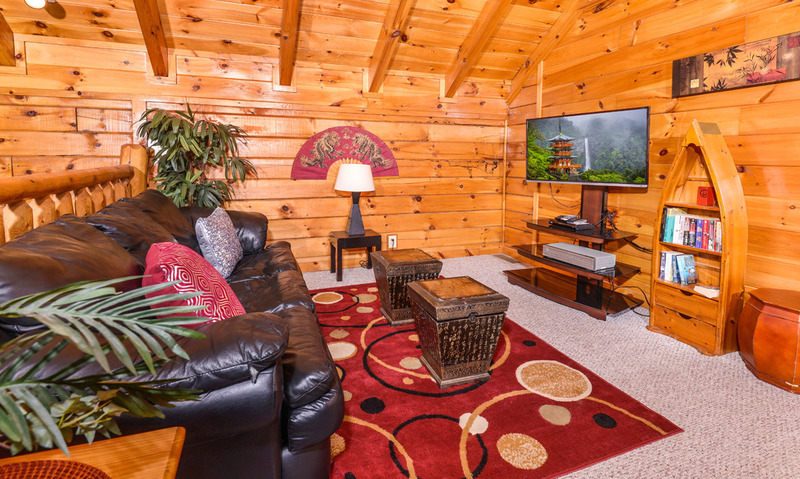 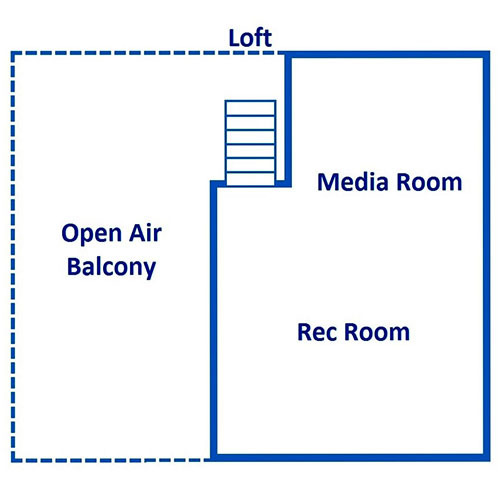 Guests staying in the loft will also stay entertained, with a big screen smart TV! 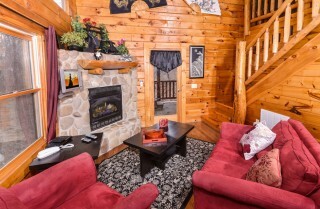 It's a great space for kicking up your feet and watching movies. 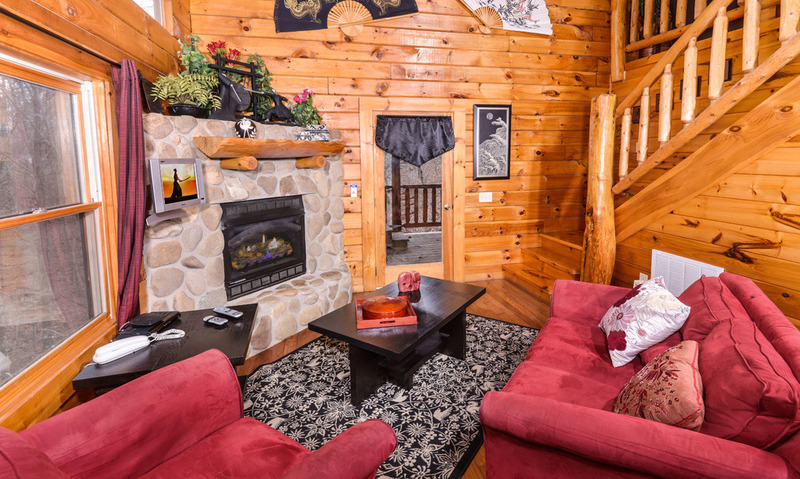 While you're near all the fun of downtown, Sweet Fantasy also boasts its own entertainment. 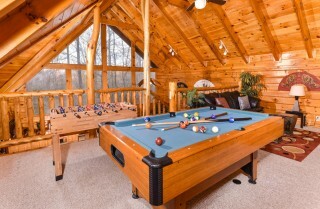 Along with the smart TV, it has a pool table and foosball table. 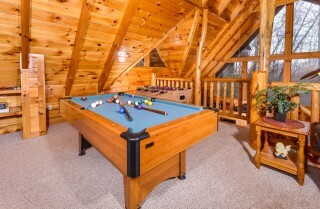 Both kids and adults will appreciate having so many fun things to do in the comfort of the cabin. 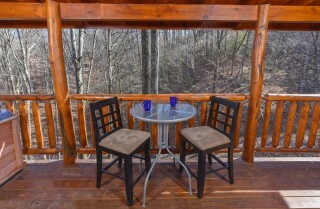 Outside, wooded views offer a relaxing atmosphere. 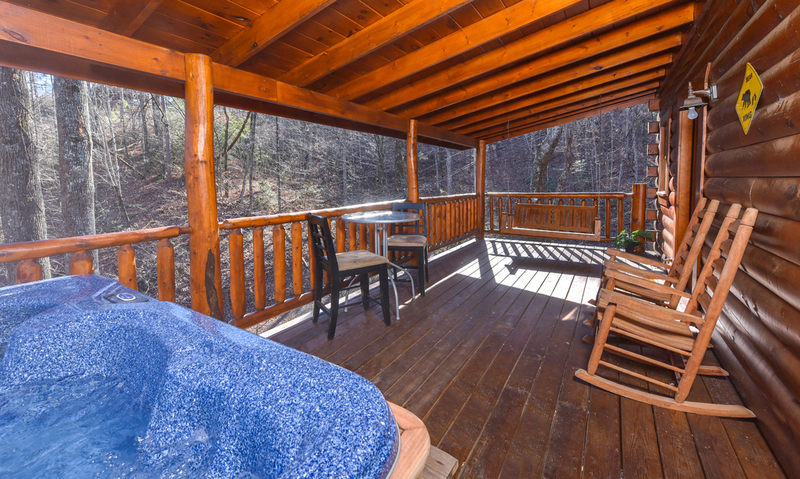 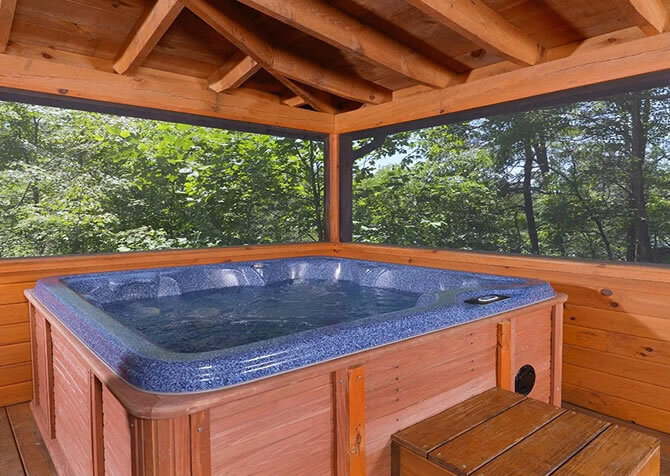 Unwind at the end of a long day in the outdoor hot tub, prop your feet up on the porch swing and enjoy a cup of coffee, or have a drink in the rocking chairs before heading to bed. 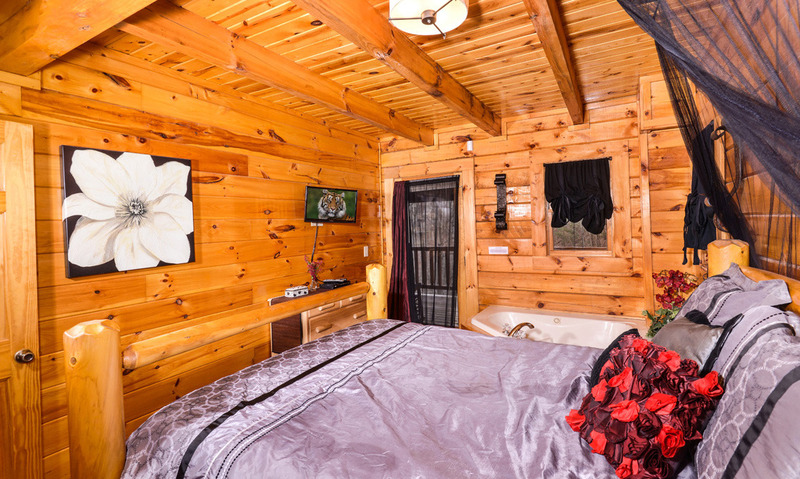 Sweet Fantasy also boasts a relaxing indoor jetted tub, a charcoal grill for cooking out on nice days, high speed Internet, a semi-private location, a flat driveway, and a washer and dryer. 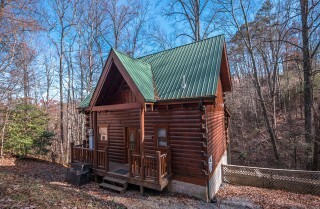 It has just three steps into the cabin, so there's no long trek to take your bags inside. With a location near downtown but still pretty private, Sweet Fantasy is great for relaxing weekends in the Smokies. Enjoy the convenience of being near it all, but end your nights in the peace of the mountains. 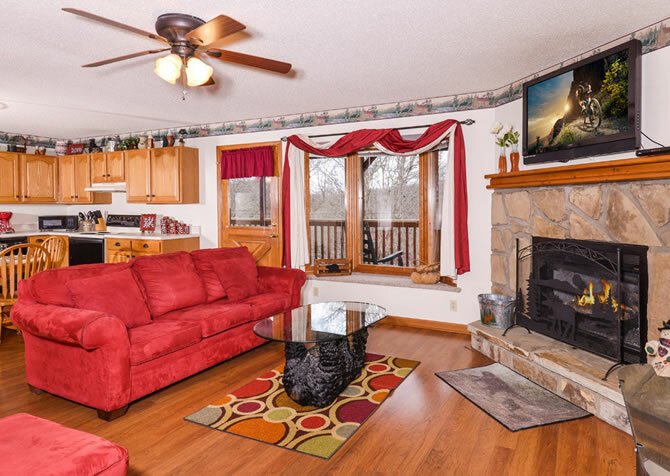 Curl up by the fireplace in front of the TV, play foosball and pool, or enjoy the wooded views as you sit back on the deck and savor your time Smokies.